Need wine pairing ideas for your summer BBQ’s? Have no fear, we’ve got you covered! With the 4th of July upon us and plenty of summer cookouts ahead, we’ve got some pairing recommendations to go with your favorite grilled foods. Use these fun recipes for inspiration or try your hand at one – they incorporate some of the delicious BBQ sauces, rubs, and cheeses available in our Retail Shop! Preheat grill to low. Slice each hot dog lengthwise down the middle almost, but not all the way through. 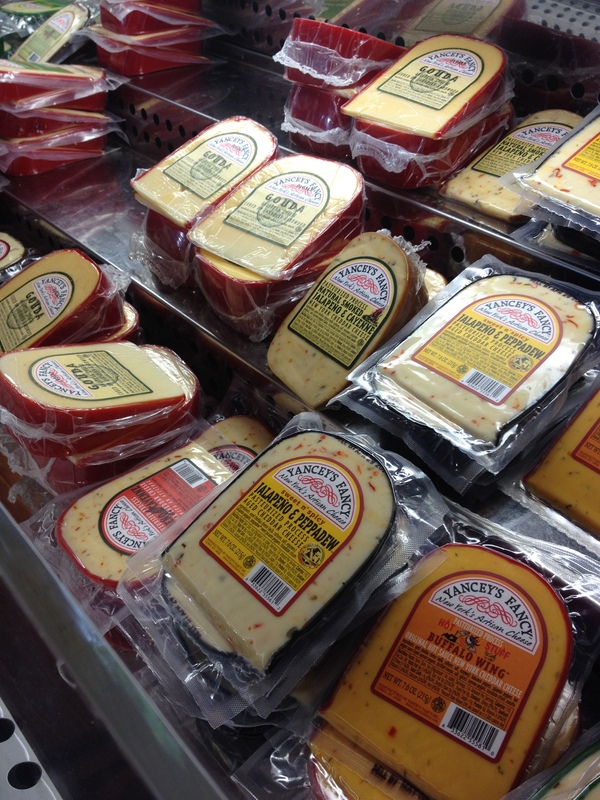 Fill the pocket with cheese. Wrap the hot dog with two slices of thin-sliced bacon, pre-cooked. Secure bacon with toothpicks. Baste with Stockyard Smoky Sweet BBQ Sauce. Grill on all for sides starting with the cheese facing down. Grill until bacon is crisp, the hot dog is sweating and the cheese is melting. Garnish with Stockyard Four Pepper Relish (optional). Wash and core vegetables and cut into quarters or large 2 inch chunks. Place vegetables in large freezer bag with shrimp and pineapples, and pour Harvest Apple BBQ sauce in and marinate for 2 to 4 hours. Turn periodically to coat. Refrigerate remaining marinade for basting. Skewer shrimp, vegetables and fruit. Grill kabobs, covered, over medium heat or broil 4 in. from the heat for 5 minutes on each side or until shrimp turn pink, basting occasionally with reserved sauce. Serve with steamed or boiled rice. Remove giblet package from chicken. Apply Kitty Rub liberally over chicken. Wrap chicken in plastic wrap and refrigerate for an hour. Preheat grill. Pour wine into mason jar and add 2 tablespoons of rub. Place mason jar into the chicken (so that the chicken is standing upright, balanced by the can.) Stand chicken upright on grill and grill over indirect medium heat for 1 ½ to 2 hours, or until internal temperature of thigh is 170 degrees F. Remove chicken when finished and let sit (with can still intact), for 10 minutes before carving. Moisten ribs with the apple cider or juice. Combine spices (salt through ginger.) Generously spread rub over both sides of the ribs. Place ribs in a 250 degree covered grill. After 90-120 minutes of cooking, wrap rack of ribs tightly in heavy aluminum foil and return to the grill. Continue cooking for another 60 minutes or until the meat pulls easily away from the bone. During the last 10 minutes remove the foil and baste both sides of the ribs with American Stockyard Kansas City Smoky Sweet BBQ Sauce to taste. Serve with additional warmed sauce. Hint: Fill a clean spray bottle with apple cider or juice and spritz meat at 20 minute intervals while smoking to keep ribs sweet and moist. 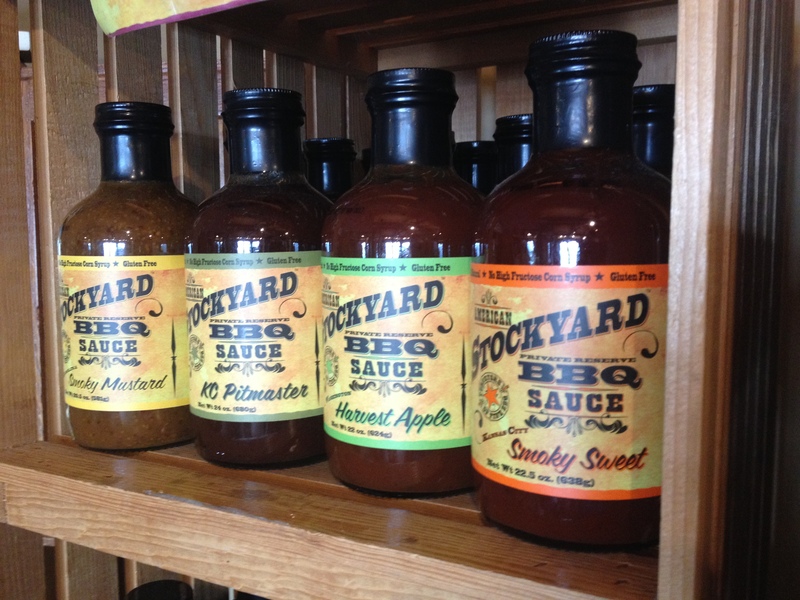 The Retail Shop is now open daily 9:00 am to 8:00 pm so stop in for a tasting and stock up for your summer BBQ’s!